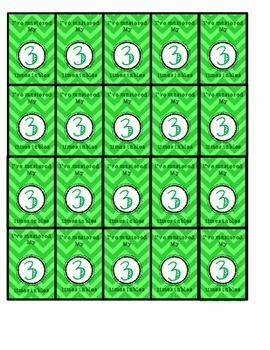 Students work so hard to pass their multiplication tables, here is a way to celebrate their accomplishments! 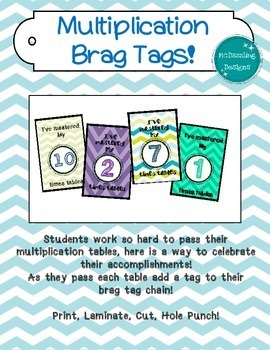 As they pass each table add a tag to their brag tag chain! 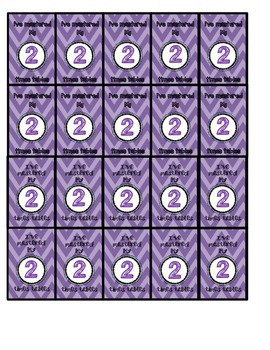 Print, Laminate, Cut, Hole Punch! Thanks for your download of my product! 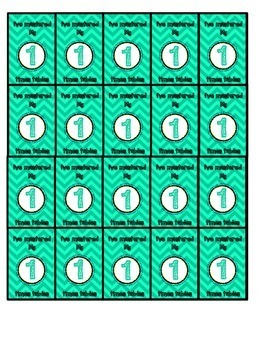 Please leave me feedback and rating if you download the product.